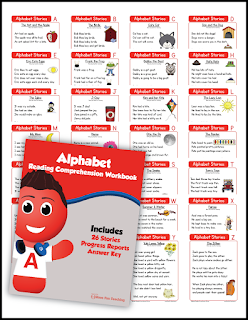 We have just released a brand new Kindergarten Reading Comprehension No-Prep All-In-One Mega Bundle that includes 200+ Kindergarten Stories! EACH Reading Comprehension worksheet includes a Story, 5 Comprehension Questions, and Answer Key. This is a NO-PREP Bundle, which means you can just print and teach, and the answer keys are right there for you! 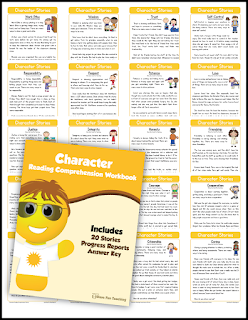 We took special care in creating this bundle to make sure that we included enough reading comprehension stories to last an entire school year! With this bundle, you GET IT ALL! NEVER PURCHASE ANOTHER COMPREHENSION BUNDLE AGAIN! If and when we create more comprehension stories, they will be added to this bundle for you to have! You and your Kindergarteners will have so much for learning how to read and practicing comprehension skills! 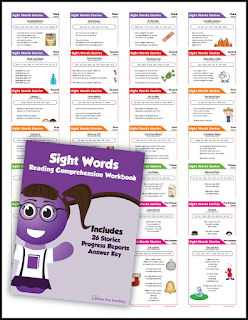 If you are a Kindergarten teacher, this Kindergarten Reading Comprehension No-Prep All-In-One Mega Bundle is PERFECT for you! **BONUS** Includes: Answer Key, Progress Reports, Holidays Calendar with Dates, and Blank Holidays Calendar. What’s This and That? Reading Comprehension – How Many is That? What’s This and That? Reading Comprehension – What Animal is That? What’s This and That? Reading Comprehension – What Color is This? What’s This and That? Reading Comprehension – What Day is This? What’s This and That? Reading Comprehension – What Flavor is This? What’s This and That? Reading Comprehension – What Food is This? What’s This and That? Reading Comprehension – What Game is That? What’s This and That? Reading Comprehension – What Kind of Weather is That? What’s This and That? Reading Comprehension – What Shape is This? What’s This and That? Reading Comprehension – What Time is This? What’s This and That? Reading Comprehension – Which Way is That? What’s This and That? Reading Comprehension – Who is That? 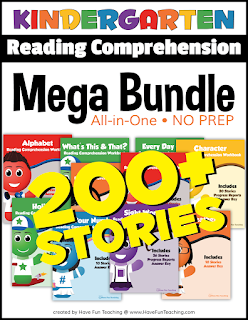 This Kindergarten Reading Comprehension ALL-IN-ONE NO-PREP MEGA BUNDLE is now available on TeachersPayTeachers!